Sometimes in life you randomly meet people and you instantly connect with them. And that is exactly what happened when I met Kristen (and her awesome father) while out for dinner at Mr. Ciao. We all ended up chatting and sharing our delicious food with each other! 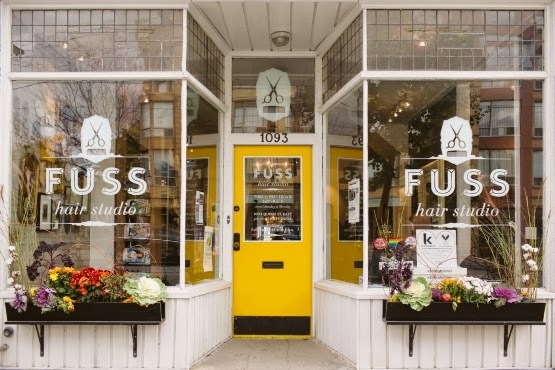 Kristen mentioned that she owned Fuss Hair Studio on Queen St E in Leslieville and that I should come by and check it out. Finally, just over a week ago - our schedules lined up and we were able to make it happen! Fuss Hair Studio is gorgeous from the outside as well as inside. Kristen and her business partner Stacey, opened Fuss Hair Studio almost 7 years ago in May 2008 and have been a staple in the ever-growing neighbourhood since. As soon as you walk in you are greeted with a friendly yet cool and modern look and personality. Everyone in the salon was so incredibly friendly - even the salon dog, George! Fuss is family friendly and while I was there another lady was getting her hair done while her daughter, maybe 7-8 years old was there as well. The daughter saw me snapping pics of the salon (and selfies, of course) with my iPhone and the next time I caught a glimpse of her out of the corner of my eye...she was doing the same thing. ADORABLE! Kristen and Stacey poured their heart and souls into opening Fuss and it shows in the details. For example, there is a lot of heritage in Leslieville, a lot of old buildings with incredible architecture. So when Kristen and Stacey found tiles that mimicked that beauty - they ordered them and covered their ceilings! Think about it - when your laying there, getting your hair washed, you're looking up at the ceiling. So why not make it something gorgeous to look at for your clients? Before and After! Shorter, a little blonder and oh-so-much healthier! HUGE thanks to Kristen at @fusshairstudio who worked her magic on me last night! 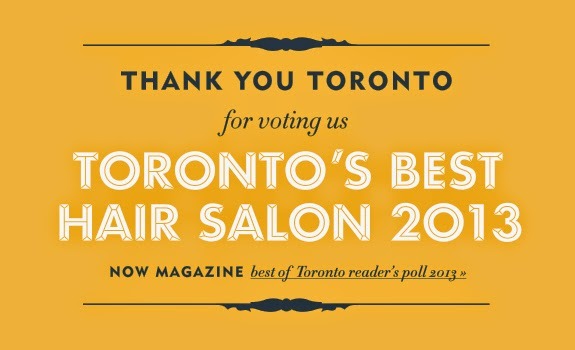 I just want to add one more AMAZING thing about Fuss Hair Studio. Another great thing about Fuss, and Kristen herself, is the passion. They're passionate not only about their trade but also their beliefs. They're pillars in the community for this. 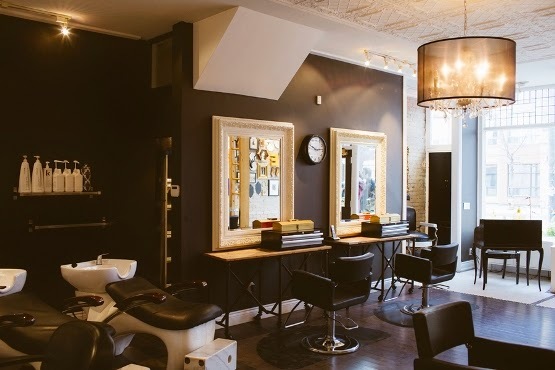 Fuss is one of, if not the most progressive salon in the city. When they get emails or calls from clients and people in the neighbourhood - they listen and make changes. Over the next few months you'll see more of those changes, however one thing they are doing now is hosting a "Transition Night". Tonight, (Monday October 20th) - Fuss Hair Studio will close its doors and host an event for teens in transition. Transitioning from male to female or female to male can be scary and overwhelming. Kristen and Stacey want to help these kids with their changes. The Transition Night will be an educational night where these kids can learn about proper grooming and keeping up with their new looks. Hosted by Fuss Hair Studio and Delisle Youth Group, these kids will be able to learn in a non-judgmental environment surrounded by people who support them. 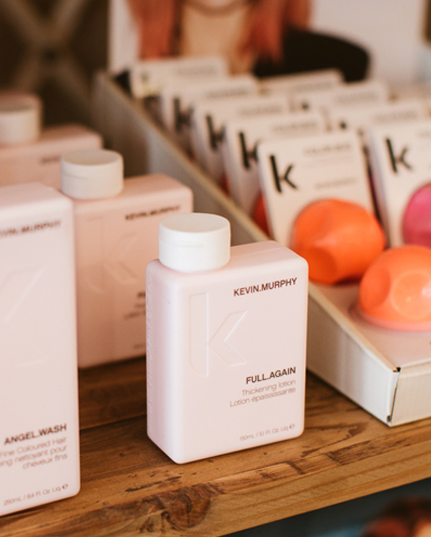 The kids will also receive goodie bags filled with Kevin Murphy products so that they can keep up with the grooming tips they learned. Fuss Hair Studios is the first salon in the city to host an event like this.